People that funded Bissell roughly 150 years ago could only dream of the success their company has achieved. Today, Bissell holds approximately 20% of floor care products market in NA. In this article, we are going to focus on their Pet Hair Eraser line. Specifically, the purpose of this Bissell Pet hair Eraser reviews is to present you with top 5 Bissell vacuums unbiasedly, with their strengths and weaknesses. But before you dive into products, you can also read our Value Section, where we share vital information about Bissell vacuums, raise and answer questions, make suggestions, etc. Finding and listing excellent Bissell vacuums wasn’t that difficult. However, it is difficult to decide which among them is the best for you. We suggest you read this guide before you move on to our list: it should help you narrow things down. 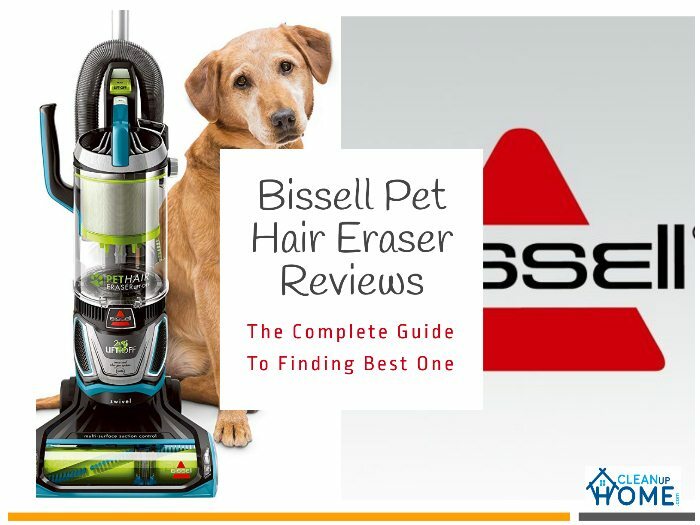 Also, keep in mind that these reviews are short and concise; consider reading more extensive Bissell pet hair eraser vacuum reviews about their specific products. The first item on our list is 1650A, versatile and all-around standard vacuum cleaner. Bissell 1650A is very proud of two things: tangle-free brush and Edge to Edge suction technology. When combined, these two features deliver excellent results in the world of pet hair vacuum cleaners. The Edge to Edge technology ensures that pet hair is vacuumed from both ends, which enhances the collection of large debris and pet hair. The multi-surface tangle-free brush roll also enhances pet hair collection and prevents wrapping of hair. Bissell 1650a pet hair Eraser vacuum comes with a lot of useful attachments. First, there is the LED crevice tool, which you can use to clean dark spots and corners. Then there is the Pet TurboEraser Tool, which does an amazing job of vacuuming pet hair embedded in your carpets. You also receive 2-in-1 Pet Brush, used for cleaning dust and removing hair of your delicate and fragile furniture. Alas, we should say that the vacuum is armed with Febreze Pet Odor Eliminator filters, which reduces pet odor. Excellent pet hair vacuuming capabilities. Efficient Edge to Edge suction technology. Somewhat bulky (despite Swivel steering). Mediocre performance on hard floors. Bissell Pet Hair Eraser handheld vacuum is one of Bissell’s most successful products. It is much more compact and convenient than our previous item (1650A), which makes it a lot more comfortable/convenient to use. It uses advanced Cyclonic Cleaning System, which was often praised by its consumers. This Bissell pet hair eraser handheld comes with two specialized nozzles, contour and hard. You can use contour nozzle for cleaning dirt and hair on all surfaces and furniture (like sofas.) Hard nozzle, on the other hand, is used to collect large chunks of debris, like pet food and kitty litter. The 33A1 is excellent for vacuuming large debris but is bad for dust. The vacuum’s exhaust blowers are directed downwards, which means that it blows away small debris and dust. So, if you intend to purchase 33A1, make sure you buy it for large debris. Extremely lightweight (only 5 lbs). Excellent for vacuuming pet hair and large debris. Blows away dust and small debris. The handle should have been padded. Bissell Pet Hair Eraser liftoff is a 2 in 1 vacuum, featuring new Lift-Off technology. 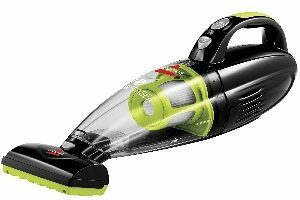 Bissell Lift-Off 2087 share a lot of features with 1650, the first vacuum we reviewed. It uses Febreze filters, LED crevice tool, Cyclonic Pet Hair spooling for simpler maintenance, Sviwel steering, and so forth. However, the 2087 Bissell can also be used as a liftoff vacuum. Thanks to the liftoff technology, 2087 is much more comfortable for cleaning stairs and upholstery than 1650. Though marketized as pet hair vacuum, Bissell 2087 is versatile, offering excellent performance with all types of debris, large and tiny. It is also the only vacuum that features a telescoping extension wand. However, the wand is a bit complicated to use, due to some design errors. Features headlights for more convenient vacuuming. Compact and straightforward to use. Versatile, used for all rooms and floors. The extensions wand unlocked frequently. 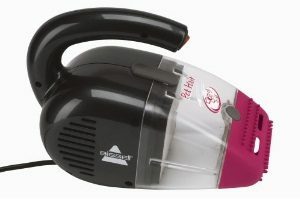 Bissell Pet Hair Eraser cordless hand vacuum is inexpensive, effective and compact. It is also the first cordless vacuum, powered by a low-quality battery. 1782’s cleaning system is quite simple: it uses the combination of motorized brush, Bissell vacuuming technology, and a two-stage filtration system. It was engineered for vacuuming pet hair exclusively. The motorized brush features strong suction, allowing you to extract stubborn pet hair and debris out of your car and carpets. The vacuum is cordless, which makes vacuuming a lot simpler. It is also very durable, protected by the two-stage filtration system, which cleans most of the debris before it reaches the filters. Note that, while 1782 is useful, it wasn’t built for vacuuming large surfaces. Use it only for cleaning upholstery, stairs, and furniture. Also, a lot of people complain, gained about the charging system, claiming that it charging is often inconsistent and inefficient. Lightweight and cordless (very easy to use). Excellent vacuuming capabilities, particularly for pet hair. Features 2 stage filtering system. Some customers complained about the charging system. Much like its predecessor, new Bissell handheld vacuum features motorized brush, upholstery and crevice tool. It also features convenient dustbin, which allows simple emptying. The purple Bissell does, however, feature an entirely new filtration system. The new three-stage system does an even better job than the previous two-stage system, delivering excellent cleaning performance. The 3-stage system also extends filter’s and vacuums durability, protecting it from engine damage. The product is lightweight and cordless, weighing roughly 4 pounds. Despite the improved battery, customers still complained about the charging system. Specifically, they complained about charging time, which lasts a couple of hours. 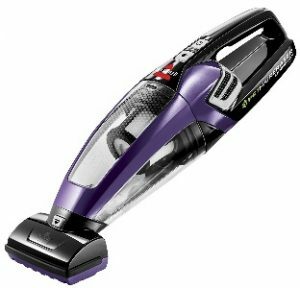 Still, the new purple Bissell cordless vacuum offers excellent cleaning performance, for a reasonable price. It is also hypoallergenic, featuring a unique three-stage filtration system. Extremely lightweight and easy to use. The unique three-stage filtration system. Recharge time is too long. Once upon a time, Bissell declared war on pet hair. Now don’t take this the wrong way; Bissell has nothing against pet hair. In fact, Bissell created a Bissell Pet Foundation, which gathers money for pets. Specifically, for every pet-related product purchase, Bissell donates $10. So, if you plan to buy Bissell products, it’s nice to know that some of that money goes to help pets. At the heart of Bissell Pet Hair Erasers lay two things: vacuuming power and motorized pet hair brush. All the products in this vacuum are engineered for vacuuming pet hair: their brushes, filtration (see how to clean Bissell filters), and dirt separation have been designed with pets in mind. Bissell vacuums feature pet hair attachments, Pet Hair Motorized All-surface brushes, anti-pet odor filters (Febreze filters), Pet Hair Spooling System (for simpler maintenance), and so forth. Note that, even though they are made for vacuuming pet hair, most operate just as any other non-specialized vacuum does, suitable for cleaning dust and debris. Before you dive into our Bissell Pet hair Eraser review, you should first know a thing or two about the types of vacuums and their benefits. Bissell Pet Hair Eraser upright vacuum is perfect for vacuuming large surfaces (see the lab testing.) It is, after all, an upright vacuum: compared to others types of vacuum, it often has the most power, it is suited for cleaning entire homes, has the biggest capacity, and so forth. However, there are some downsides to it. Firstly, it is a bit bulky, especially if it isn’t a liftoff vacuum. Also, these vacuums are never cordless, meaning that you’ll have to drag a cord with you. The only corded handheld vacuum on our list is the 33A1, which is also the most popular Bissell item. Though it is restricted by the cord, handheld corded vacuum offers more maneuverability than upright vacuum. Also, it is much lighter and compact, perfect for people that don’t want to drag their vacuums across the stairs. But, can you clear the floors with it? Technically, you can, but it would take you a couple of hours to finish the job. Two items on our list are cordless, and both offer the same thing as a corded vacuum, except for the fact that you don’t have to drag the cord with you. Sound too good to be true, right? Well, it is and isn’t; allow me to explain. Cordless vacuums work correctly, but they still struggle with the charging system and battery. 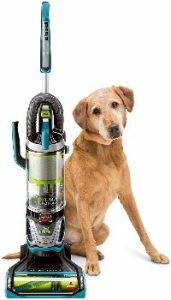 Both Bissell cordless vacuums on our list offer excellent vacuuming performance, perfect for pet hair. Still, they seem to struggle with recharging, as well as with battery runtime. Why? Well, why would you use an upright vacuum only for pet hair? Now, if the pet hair is scattered, on furniture, floor, corner, and so forth, then you should probably go with an upright vacuum. But, if that’s not the case if you can successfully locate pet hair and collect it with Bissell handheld vacuum, why would you bother yourself with the large and bulky machine? On the other hand, if you need a vacuum for cleaning large surfaces, why would you torment yourself with a handheld vacuum… We hope our message made sense. It is very difficult to announce a winner because the vacuums vary in their design and functionality. If we had to pick one, we would go with the Bissell 33A1, the corded handheld vacuum cleaner. It is their most popular vacuum, and also the cheapest vacuum cleaner. 33A1 performs as described: it vacuums pet hair, it is suitable for upholstery and stairs cleaning, it’s durable, has an excellent filtration system, and comes with two nozzles. Clearly, if you want a cordless or upright vacuum, you should choose according. In the end, it comes down to preference and your personal opinion. But one thing is certain: no matter what vacuum you choose, Bissell vacuums will never disappoint you.